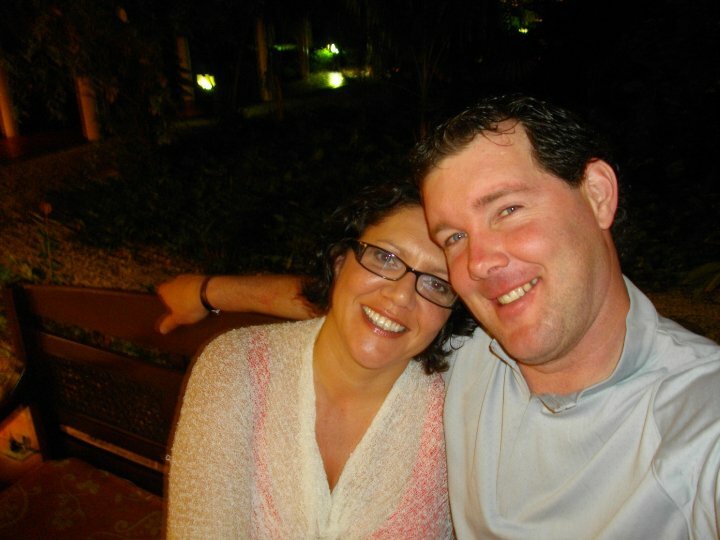 Laura MacFarlane and her husband Derek on a kid-free vacation in Punta Cana last year. If you would be interested in being a Q+A participant, just contact me. I’m interested in everyone’s story. 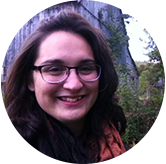 Today’s Q+A is with Laura MacFarlane, a Big Baddeck resident and mother of two. Her husband Derek works in Fort McMurray for an independent trucking company and is home for a few weeks every other month. I’m 43 (for a few more months). 2. CB born and raised? Or transplant? (Plus whatever biographical details you feel like giving). I was born in Toronto to Cape Breton parents, and then they moved back home when I was 3 months old. They didn’t want to raise a family in the city. Within seven years they had four children, must be that good Cape Breton air! 3. Your husband goes out west to work. How did that come about? Opportunity was the main motivation. While he enjoyed his job here it was never going to grow into anything more. Frankly, he works away so that we can afford to stay here. Everything has doubled or even tripled in price. Twelve years ago we could fill our oil tank for 400$, today it costs 1200$! 4. Do you have kids? How old are they, and what do they like to do for fun? We have two children. Paige is 13, and she loves horses, art, music and is very crafty. She’s a great artist and an all-around great kid! Kenzie, our son, is 10, and he’s all about hockey. He’s the goaltender for the Atom B team. They had a great year! We put eight thousand kilometers on the vehicle this winter just traveling for games. Almost every team is an hour away. We are really feeling the decline in population! However, it is worth the time and money to keep him busy and happy. He also plays the clarinet and the tin whistle. They are great kids and have adjusted well to our situation. 5. What is a typical “day in the life” for you? I run around a lot with the kids, to the rink, the barn, 4H, etc. I try to keep them busy! We also love to ski and swim. We are lucky to have two sets of grandparents living here, and a great-grandfather! Family is very important to us. 6. Who are your favourite Cape Breton musicians? I love Rosie & Jonny! [Rosie MacKenzie and Jonny Muise] Kate Oland is one of my favorites, she gave me a CD a few years ago and I treasure it. My husband Derek also plays & sings. Larry, Tracey, Michael are favorites too. [Local guys who play a lot at the Legion, local pubs, etc.] Gordie Sampson is also great. 7. Do you think you’ll stay in CB down the road, or have you thought about moving? We talk about it every once and a while but doubt we ever will. The kids are happy and safe here. They have great friends and lots of family. And Derek is going on a month-on, month-off rotation! That will be a walk in the park after having him away 8-12 weeks at a time. 8. Swimming – ocean or river? The river for sure, but I like the ocean too, in August! 9. Summer or winter in CB? Winter! I work all summer at our family restaurant so I don’t get to do much during the summer months. I love how vast and wild it is here. So untouched. My friends who come to visit and unwind say they love the quiet, laidback feeling that they only get here. I see the future of Cape Breton as positive. More and more people are needing peace, balance and calm, and we can provide that! To read more interviews on the Dream Big blog, click here! This entry was posted in Out West, Q+A, Women + kids and tagged Baddeck, Cape Breton, challenges, children, Fort McMurray, hockey, money, Q+A, women. Bookmark the permalink. Nice interview – gives a real picture of what life is like. I should have mentioned that I work@ the Bell Buoy Restaurant in Baddeck. My parents opened the restaurant 32 years ago !